10 years ago, the telecommunications industry was a different world. 10 years from now, the same thing will be true. It’s a lot of change to process – and, if you’re focused on running your business or location, it’s an intimidating prospect to manage. Telecommunications moves fast. How can you stay up to date? The answer lies in working with a provider that will keep you on the cutting edge. But what does that look like? More specifically, how has technology impacted telecomm contractors – and how will that impact your business? The phrase “vast range of information-transmitting technologies” is the key. It’s broad, but telecommunications, essentially, is communication across distance, assisted by ever-changing forms of technology. With that in mind, let’s take a look at three ways technology has changed life for telecommunications contractors. 1. Telecommunications contractors are required to know the latest hardware. Hardware has always been at the backbone of telecommunications work. That’s still true; it’s just that today’s hardware looks different. 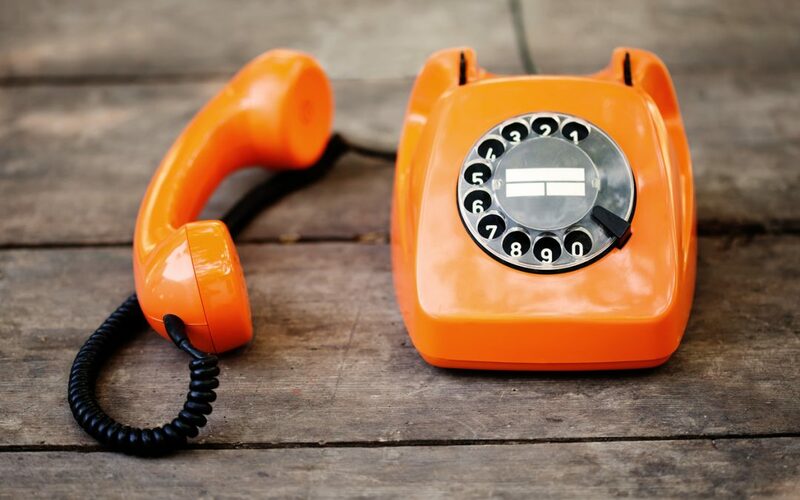 Fifteen years ago, you would never have heard of VoIP – which means you certainly wouldn’t have been aware of any of the hardware platforms that would make it work. It’s voice over the internet, yes – but there’s still hardware involved to make it happen. In that way, the relationship between hardware and new technology is cyclical – new technologies mandate new platforms. And success for telecommunications contractors means a constantly-developed knowledge of system hardware components. For instance, 15 years ago, telecommunications contractors would have readily installed Cat5 cabling. Soon after, though, developments in technology (systems requiring increased data bandwidth) mandated the use of Cat5E cabling. Next came Cat6, and, today, Cat6A. Now, to best meet your system needs, your telecommunications contractor should probably be familiar with all currently-used types of Cat cabling. And they should certainly be on the cutting-edge of any new hardware developments that could benefit your building’s systems. 2. Telecomm contractors must be able to navigate system software components. In addition to hardware, though, today more than ever before, telecommunications contractors must also be able to navigate system software components. For instance, nearly any leading AV solution will integrate with a tablet or smartphone using an app for control. It makes sense; for users, it makes managing an AV experience much easier than ever before. For telecommunications contractors, though, it means that in addition to the hardware knowledge that’s essential in installing a system, they must also possess the software knowledge to optimize the apps for users. That’s not just true in AV; it’s true across all systems. Put simply: today’s telecomm contractors must be able to set up software as well as hardware. 3. Systems integration expertise is essential for telecommunications contractors. Part of the reason software expertise is so important is because integration is now essential. In the past, telecommunication contractors could thrive with expertise in a single product – an exhaustive knowledge completely around phones, for example, or cabling, or building access. By zoning in on a singular area of focus, they were able to provide the best (although separated) solutions. Today, though, there are no longer disparate systems, and telecommunication contractors can no longer afford to be specialists in certain systems while remaining ignorant of others. The reality is that every system now works together, transmitting and sharing data to make processes more efficient than ever. The internet has irrevocably blurred the lines between telecommunications and information technology. There’s no going back – what used to be phone systems are now VoIP, internet of things devices transmit data across networks, and access control communicates with your smartphone. It’s communication across systems, across the board. Consequently, systems integration is essential. And today’s best telecommunications contractors have systems integration expertise instead of a focus on a singular system element. Technology has impacted the role of telecomm contractors. For your organization to thrive, it’s important that you take those changes into account when searching for telecomm services. At Medlin, we’re proud of our commitment to constant growth. It’s why we’re able to provide cutting-edge hardware and software solutions, and it’s why we’re dedicated to providing full-service systems integration – so that we can serve your business with technology systems that work. We take ownership of your systems, so that when something needs to be done, you can trust that it will be. There’s no finger pointing and no complicated vendor relationships, just the confidence that comes with knowing the job will be done well. It’s your building’s systems made simple. To take the first step toward telecommunication services that just work, get in touch with us.